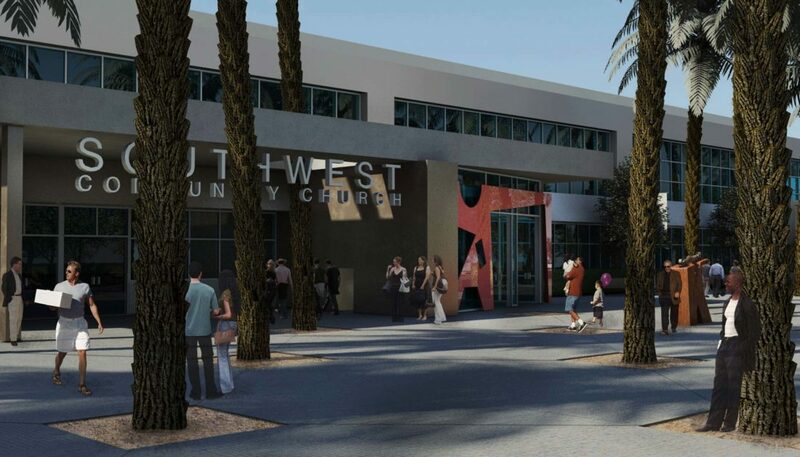 The design of the new entry portal at Southwest Community Church in Indian Wells was twofold; first, clearly define the main entrance on the otherwise generic building; second, denote a clear children’s entrance within the larger portal. 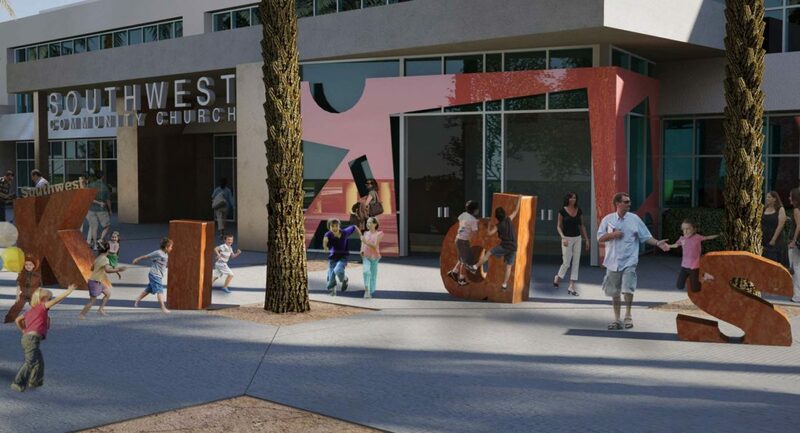 The goal of the design is to begin to create a visual identity for the church and the building, deviating from the existing building’s architectural language. 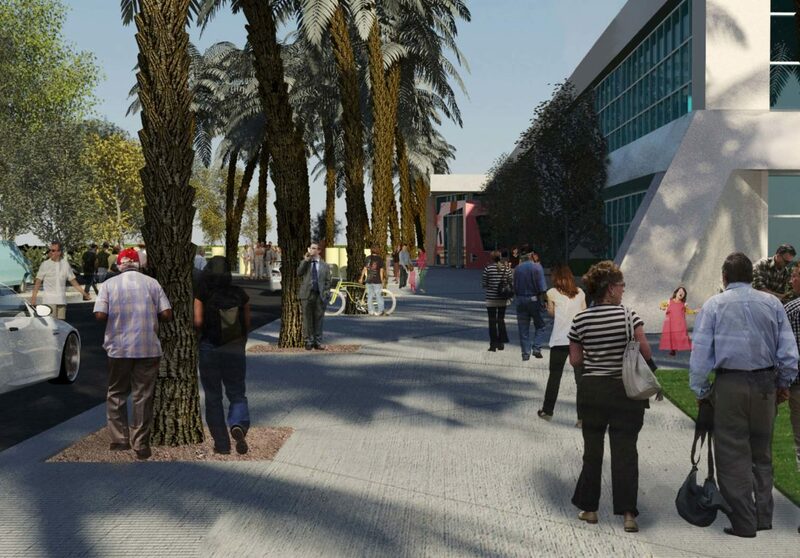 The new entry portal features a refined material and color palette. 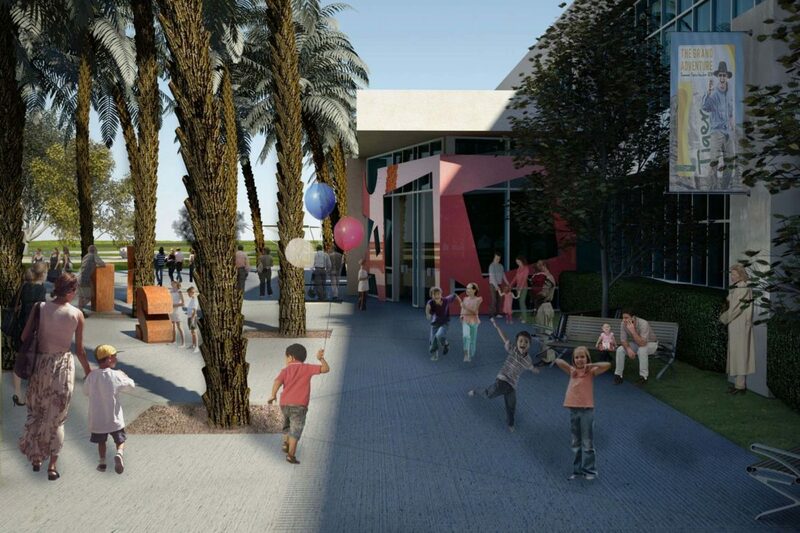 The children’s entrance has an additional layer of graphic materials and elements.